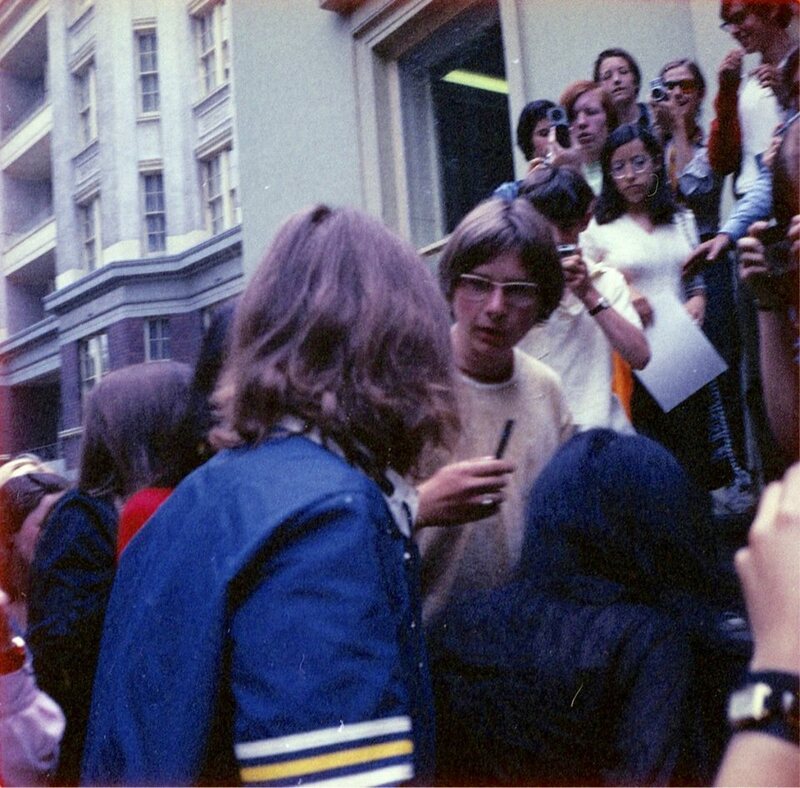 In this group of fans, we spot Lizzie Bravo standing on the steps, waiting to see John and Yoko walk by. Someone is taking home movie footage of the arrival right above Lizzie's head. I recently saw this photo for the first time: it's always exciting to see a "new" photo where I am close to one of the boys, especially John. I don't see any familiar faces. In the Summer, fans from all over the world would flock to the studios, it could get quite crowded. I wasn't particularly pleased, since it meant the boys would rush from their cars to the front door and there were only a couple of minutes to see them. Lizzie, you look super pretty in this photo, hope that's ok to say!!!! Gorgeous! Thank you for the compliment! I only saw this now.